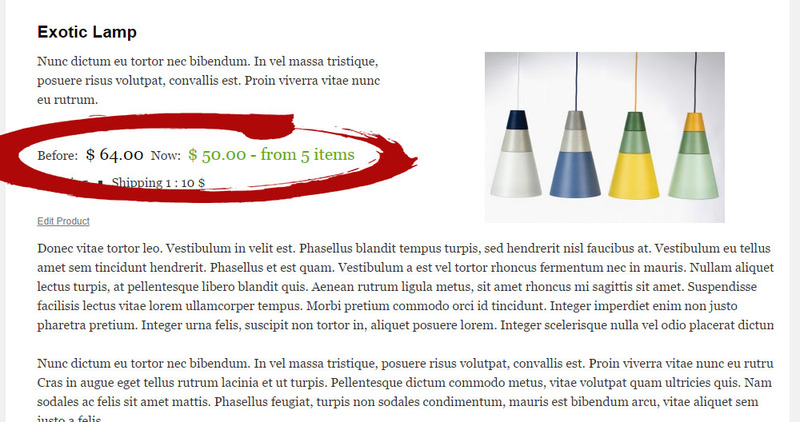 Show the discount offers with a robust widget and shortcode in various places of the website. Even apply discounts from certain quantity! The intuitive dropdown makes it easy to select the discount type between percentage discount and new discounted product price. 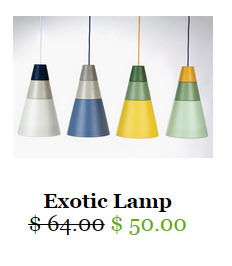 When the discount quantity is different that “1” the extension will show the information on product page (click on the image above to see how it looks). The discount is fully adjustable by CSS. The HTML markup allows any design. Compatible with design color and size settings. Define the labels before normal and discount price with a click on front-end labels tab in product settings. The output design is compatible with design color and size settings. Adjustable by CSS. You can use [[promo_box]] shortcode or Promo Widget to show current offers. The promobox will show random offer each time the user visits the page. How can I define percentage discount? Please use the drop-down in discount box on product edit/add page. When the “%” value is selected it will be a percentage discount applied. How can I define a new discount price? Please use the drop-down in discount box on product edit/add page. When the “=” value is selected it will be a new discount price applied. How can I define a discount quantity? 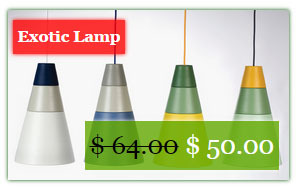 Please use the discount quantity field in discount box on product edit/add page. You can set the discount unit (box, item etc.). When the discount quantity is different than 1 than the correct information will be displayed on product page. The upgrade process is done in background and can take a couple of hours. To speed it up you can go to Products > Settings > System and click the speed up button. If the button is not there it means that the upgrade is complete.